Learn about the partners who bring your event to life! A Classic Party Rental has everything imaginable for truly memorable weddings, wedding receptions, corporate functions, reunions, banquets, meetings, bar/bat mitzvahs, or any other type of gathering that necessitates first class equipment and first-rate service. 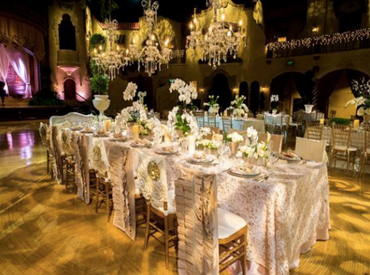 Their showroom allows you to meet with event specialists to help plan your event and choose the rental equipment that will bring style and charm to your event. 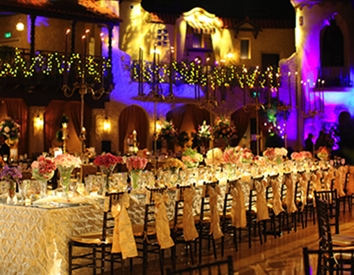 Their passion is to help you design any event, big or small, that you will never forget. Their sales team has over 60 years of experience combined and their knowledgeable staff will work with you every step of the way to help you make your event memorable. After just one call, you will feel right at home working with Best’s expert sales team. Let Best Rentals help create your Best Memories. 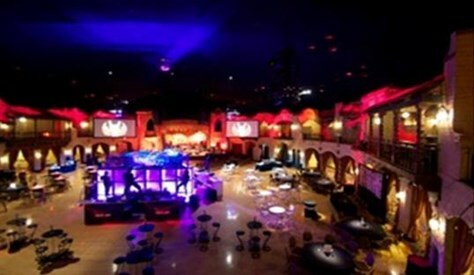 Elite Management is our preferred vendor when using valet services. Their experience and level of service set them apart from the rest. Elite’s parking service removes one worry from your staff and lets them focus on what your business does best. Call them today for a wonderful enhancement to your special event. 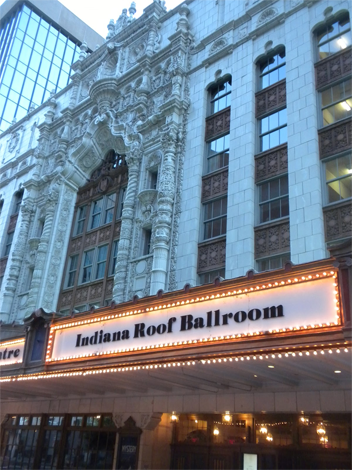 The Indiana Repertory Theatre is located just below the Indiana Roof Ballroom. The theatre is open to the public and performs 9 plays each season. There is always one experience you can depend on every time you come to the IRT: the highest quality of professional theatre artistry. Whether there is one actor on the stage or twenty, the IRT believes that your experience will be dynamic, engaging and the cause of lively conversation for days to come. The Indiana Roof Ballroom has a great partnership with Denison, who will provide you and your guests with all of your parking needs. The ballroom is attached to one of their garages, making the downtown experience one that your guests will enjoy, stress-free. Explore the best of "Indy" from the newly transformed Hyatt Regency Indianapolis. The modern amenities of their contemporary downtown hotel blend effortlessly with classic design elements, creating a modern oasis in the heart of one of the Midwest’s most exciting cities. Conrad Indianapolis is connected via skyway to the Circle Center Mall, Artsgarden, Indiana Convention Center and the Indiana Roof Ballroom. Midwestern warmth resonates in this luxury hotel’s Evan Todd Spa, Conrad Fitness, and wine and dining experiences. The Hilton’s centrally located hotel right on Market Street, offers ultimate convenience to families and business travelers alike. Stretch out in an elegant guest room or suite - among the largest in the city - and make the most of being close to so many exciting attractions, tourist destinations, shops and dining options. Connected to the Indiana Roof Ballroom, Indiana Convention Center via skywalk and Circle Centre Mall, Embassy Suites Indianapolis is just a short walk from your banquet space and to hundreds of shopping, dining & entertainment options. Their upscale full-service hotel provides two room suites with the comfort and convenience you can expect.